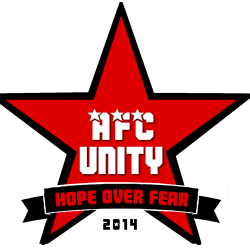 I’m sometimes in awe of how AFC Unity as an organisation – with help from everyone from the Board of Directors to volunteers – has hit pretty much every target set for itself when it was founded in 2014, despite being a progressive, independent women’s football club with a completely different approach. In fact, we’ve exceeded expectations. We became a Charter Standard Club. We got promoted in our first season. In our second season, we extended an unbeaten home record in the league to a year. We more than held our own in the Second Division and took top teams to the limit. We created an innovative Solidarity Soccer initiative unlike anything any other clubs provide. 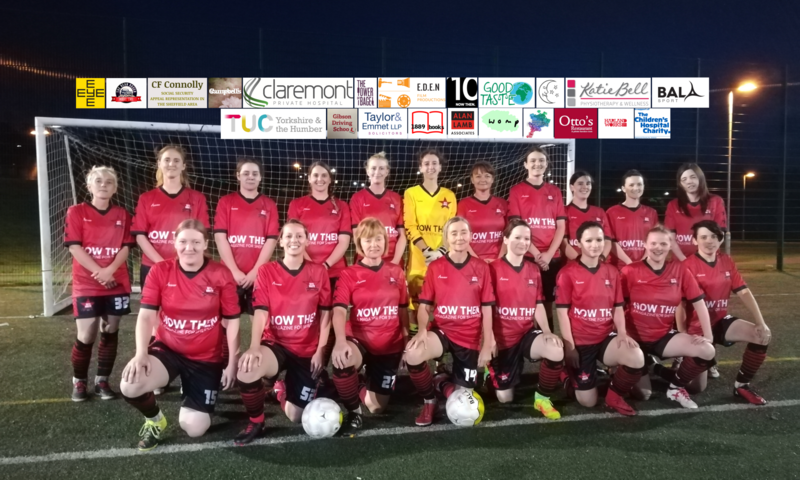 We formed a second team for more options for women wanting to play in league football. We spearheaded a “100% positivity” approach at the forefront of modern sports psychology and coaching methods. We gathered and donated 771kg of food to local food banks, extending that positivity and ensuring it runs through all we do, on and off the pitch. And now we’ve been given official recognition – not by our league but by the national governing body itself, the FA, winning the national Respect Award for our entire approach just mentioned. I had the privilege of accepting the award on behalf of AFC Unity from David Gill at Wembley Stadium for the Community Shield. It’s pretty funny as that fat kid from Donny taking a leak next to Sir Bobby Charlton in the gents. But it’s easy to forget the achievements, and fail to realise just how far we’ve come. When we started up, we were ridiculed for valuing women’s grassroots football by having match reports by volunteers; since then, others have followed suit and it’s suddenly accepted. We put videos online. We had players’ names on the backs of their shirts. We developed a strong brand. All things scoffed at when we started but now, again, being done by other clubs more and more because we came along with our own unique vision of valuing and empowering women. Men’s clubs will from time to time give women options with the greater resources of their men’s teams – but we only focused on women’s football from day one. It’s so sad how women’s teams you’d have put money on suddenly collapse and fold. We are determined to keep going, and keep growing, bit by bit, despite the challenges of independence and integrity that comes from our passion for positive social change. Seen as “radicals,” there are those with prejudices who hate us. They love the idea of beating down a progressive football club that does things like tackle food poverty. Teams love beating us. Many watch our every move. But it’s flattering, and we’re still busy keeping grounded and helping people, year after year, whether we lose a match or not. We don’t stop. We feel like we win all the time because we’re about much more than just football. Losing a match isn’t as big a deal for us because of that. I really feel for clubs that are just about football; just about beating someone else, and that’s it. It’s so sad. Because, again, when they lose, they come off the pitch and have nothing else left. There’s the argument that we’re a big strong club. Here’s a reality check: we constantly battle against an old guard resisting the principles of Respect and Fair Play and the social good we do through football. With all of this, and with no attachment to a men’s club, we are, by definition, underdogs. We are not a big strong club. No, we are the smallest of them all. For goodness sake, we are in the lowest levels of women’s football in this country, albeit in the birthplace of the sport itself. Players pay to play, and to contribute to an incorporated not-for-profit company and be part of a grassroots football club actually linked into the community. Regardless of the awards we give out at the end of our season, every single player that doesn’t appreciate our vision and values, only cares about football results, doesn’t like our Football Philosophy, and clearly missed a memo about all of these things, will not enjoy it at AFC Unity, should not join AFC Unity, will not last at AFC Unity, and will not be appreciated by the collective unity of AFC Unity. Let’s face it: clubs that are just about winning football matches are ten a penny; they’re not hard to find – they’re usually located above us in the league! We chose this hardest path but it’s the right path. I’m lucky I’ve got broad shoulders and thick skin: I’ve been abused, harassed, and received so many negative comments and so much hate mail you wouldn’t believe, incredibly, for my belief in nurturing not just good players but good people and simply because I protect and stand by the principles of our Football Philosophy – but for every negative individual there are dozens and dozens of women who have told me they wouldn’t even be playing football without this environment. I do it for them. We have an incredibly high retention rate of women who enjoy positivity, and want more positivity in their lives. After all, if you wanted to be in an organisation where you give them money for them to tell you that you’re worthless, you’d become a Labour Party member! For every bit of malicious abuse, I also see women being a part of AFC Unity to this day because of our Football Philosophy. Because women are not stupid, and don’t need a man telling them that they are. They know when they’ve made a mistake, they know when they haven’t been good enough, and sometimes opponents are simply going to beat you by their merits, by cheating, or by luck, and those are uncontrollable factors no amount of criticism from me would change. My work is on the training ground; to work on and improve things. But ultimately it’s about keeping a positive environment for the many. I’m so saddened by women who don’t think they’re worthy of such positivity; that only negativity can make them the best. Because that’s the culture women are faced with every day: through media and advertising, told constantly that they’re not good enough, and not good enough for men – whatever the heck that means. As a feminist, I reject that and I can sleep at night knowing I adhere to the ethos of AFC Unity, and no individuals who thrive on negative energy will ever change that. Even if it means more hate mail. Some things are simply not for compromise because they’re the right things, and if we’re such a challenge to the status quo, if we shake things up so much – if we call out negativity and abuse – then keep that hate mail coming in, because we’re clearly doing something right. Doing what’s right is the most important thing you can do. It means you’ve succeeded. And I never read negative things anyway, or anything from outside of AFC Unity. I like to focus on what we’re doing. Even in matches, I don’t like adapting for other teams. You have to stick to your principles. This season is going to be a great challenge in taking us to the next level, with our new home ground in a community with a clear identity and a food bank just around the corner! We’ve also created a second team, the AFC Unity Jets, offering more options for the women who come into the club and with a spirit that’s utterly inspirational, and contagious. But again, let’s have a reality check: because the way we do things make us underdogs, we are playing the long game here. Of course we want to do well and grow and go up the leagues and raise our profile and do greater good in the community. But as underdogs without a famous badge or a longer history or a men’s club dragging us along, we have to be patient and we have to find different ways of recruiting and creating our own players. That may mean a junior team, our own mini league, or a wider network of progressive clubs. In the meantime, we will lose games, and keep going; we will draw games, and keep smiling; we will win games, and impress you. We’re still Unity when we leave the pitch. So come and support these women. They are the ones who represent the club on the pitch, who play for our badge, who play for our ethos, who play for our way of doing things. It’s a way I’m very proud of.